Miss Ghana 2012, Carranzer Naa Okailey Shooter has been adjudged the second runner up in this year's Miss World beauty pageant which came off in Indonesia. third among 126 contestants from across the world in the finale held at the Bali International Convention Centre in Bali, Indonesia Saturday night. Before achieving the impressive feat, Naa Okailey made it to the Top 10, and after the number was whittled down, she still managed to get a place in the Top 5. 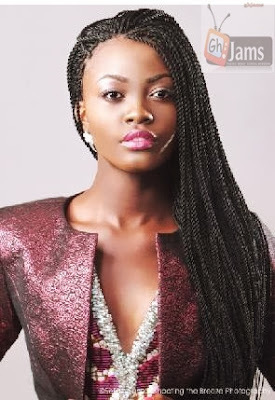 With this, she automatically becomes Miss World Africa 2013, taking over the crown from South Sudan's Atong Demarth who received that accolade last year. After a month of competitions, Miss Naa again placed third in the Beach Fashion finales. Her Beauty with a Purpose project on Buruli Ulcer was also selected as the Top 10 projects.